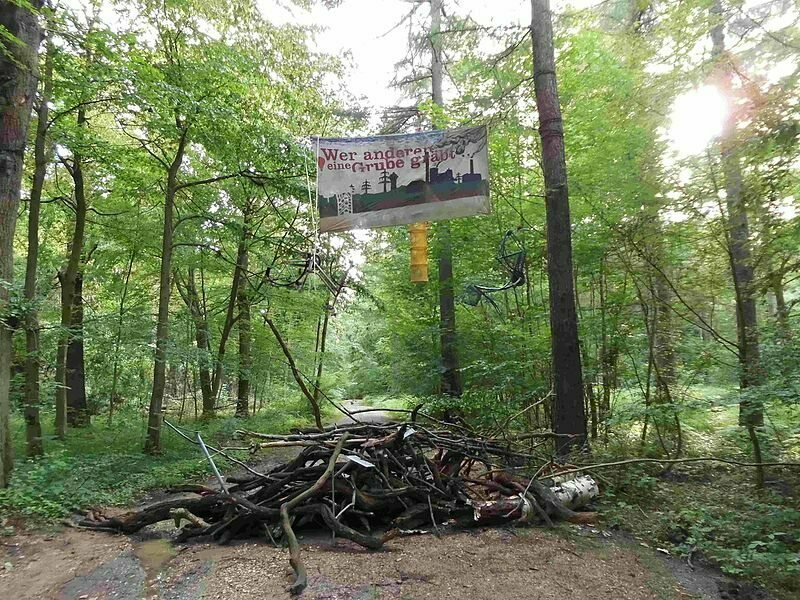 They’ve been trying to stop coal mining in Germany’s Hambach Forest. 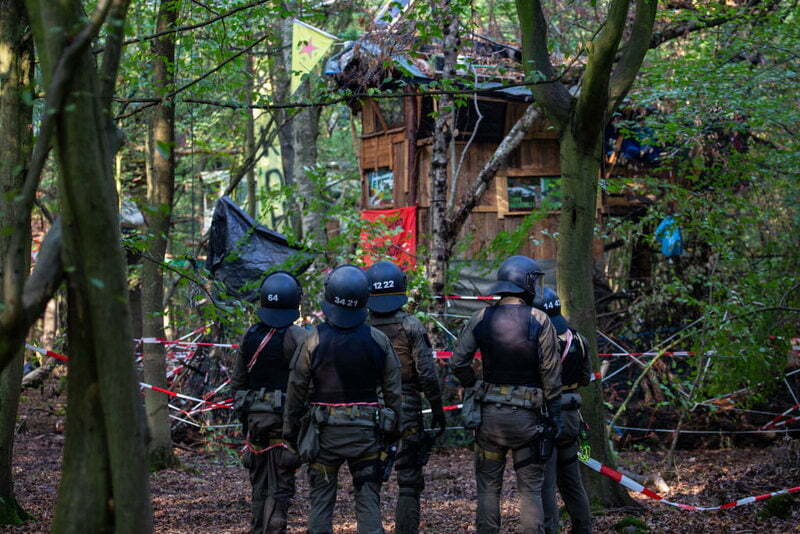 In early September, police in Germany began evicting and dismantling a treehouse protest camp in what remains of Hambach Forest, an ancient forest in the country’s west. Protestors have occupied the site continuously since 2014, when they moved in to protest clearcutting and mining in the woods. Since then, they’ve built dozens of connected “treehouse villages” there, accessible by rope and ladder, to prevent said trees from being cut down. The eviction was halted this past Wednesday, September 19, following the death of a journalist, Steffen Meyn, who fell from a suspension bridge. It is unclear whether the camp will survive. Whatever else this ecosystem contains, we do know that it sits on top of a huge deposit of lignite, a low-grade coal usually used to generate electricity. In the late 1970s, the German energy company RWE bought the forest, and began chopping down trees and digging an open-pit lignite mine. 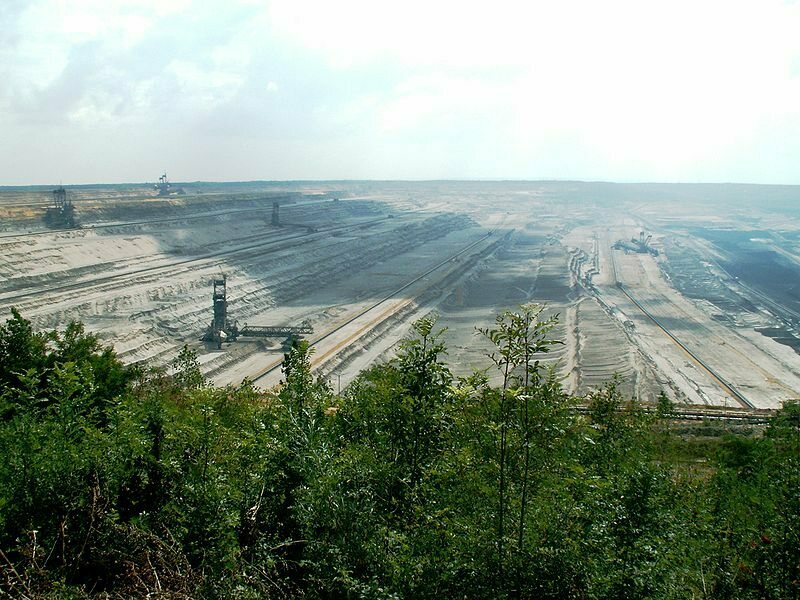 In the years since, about 90 percent of the forest has been cleared in order to expand the mine, which is the largest in Germany. RWE has undertaken measures to mitigate the mining’s impact—as a representative detailed to National Geographic, they build bat houses, relocate endangered species, and replant a nearby area with seeds and shoots sourced from Hambach. When mining is finished in a few years, the pit will become a recreational lake, a strategy often used at former extraction sites in Germany. The website, as well as interviews occupants have granted to local and international outlets, give an idea of daily life at the site. They cook communally, eating donated and dumpster-dived vegan food, and washing dishes with recycled rainwater. Nights often end with bonfire singalongs. Through last year, they gave monthly public tours of the forest, which often drew hundreds of people. 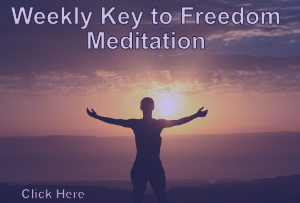 They also plan actions, and put time into “develop[ing] infrastructure … physically, but also mentally and emotionally,” as one occupant told Democracy Now!. For instance, many of the treehouses are equipped with lock-ons, devices that allow activists to attach themselves to infrastructural elements, like treehouses or the trees themselves. Over the past few weeks of strife, the community has put out public calls for mental health workers to visit the site. Clashes between protestors and RWE representatives are frequent. In 2015, activists chained themselves to the tracks of a private train line used for moving lignite, which stopped traffic. 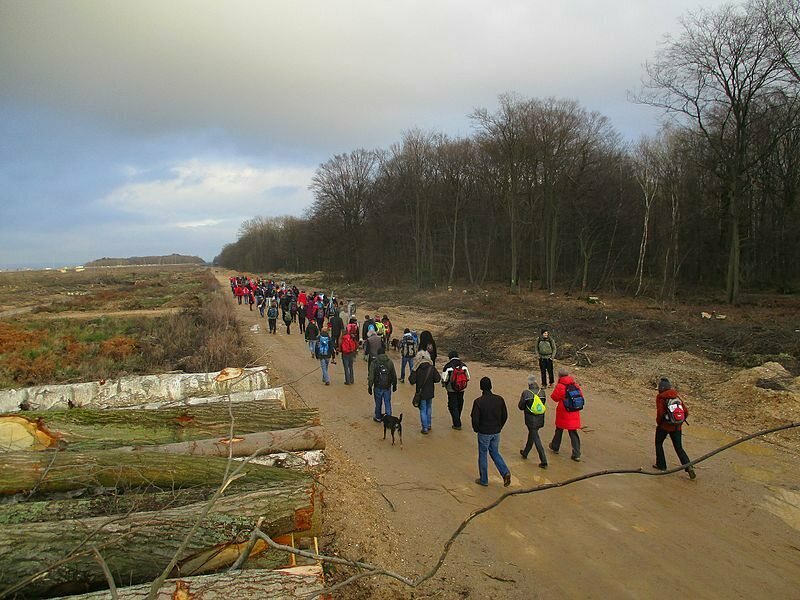 The next year, RWE workers crossed what occupiers had previously designated as a “red line” between the logged areas and and the camp, spurring a large-scale police intervention. The year after that, activists won a temporary victory when a court order halted the expansion of the mine for four months, but soon after, RWE successfully appealed. Each side has accused the other of violence on multiple occasions, and there have been several other eviction attempts. The latest began last Thursday, September 11, in the morning. “The state’s Construction Ministry said the structures occupied by anti-coal activists are a fire hazard and do not conform to building regulations,” DW reported. Police came to the camp, gave the activists 30 minutes to vacate, and then began evicting them, using cranes to reach those in tree platforms. According to the community’s news ticker, the next few days were characterized by the steady eviction and destruction of treehouses, punctuated by protest actions and arrests. As of Wednesday, September 19, 39 of the treehouses had been cleared out, and at least 19 had been torn down. Evictions continued until after Steffen Meyn’s death, which officials have said was unrelated to police activity. At that point, Interior Minister Herbert Reul—who had previously characterized the protesters as “extremely violent left-wing extremists”—stopped them. Community members spent Thursday in mourning.